Brisbane's most popular public golf course. 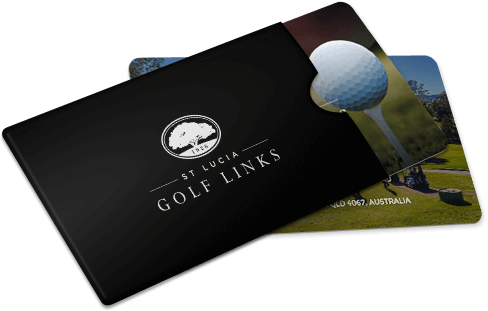 St Lucia Golf Links is one of Brisbane’s most well renowned golf courses. Open to the public all year round, this iconic destination is now home to a new Golf Shop, 60 new motorised carts and Queensland’s Best Golf Simulator. With hundred acre bar and Hillstone events at the top of the hill, this landmark is more than just a golf course, it’s a lifestyle. St Lucia Golf Links is a public access golf course ideal for golfers of all abilities and will delight keen and occasional players alike. The 69 par, 5411 meter layout is sculpted from beautiful land with several holes following the Brisbane river. Our fully stocked golf shop offers a large selection of men’s and women’s apparel, equipment, accessories and tournament gifts. The most unique aspect of St Lucia Golf Links is the hundred acre bar, available to you and your guests all day every day. *Please note that due to the Brisbane City Council regulations it is not possible to use your own motorised cart at St Lucia Golf Links. Green and motorised cart fees. Open every day of the year except Christmas Day, our golf course is both accessible and affordable. Monday Mates Rates – 9 or 18 hols $18.50. 9 holes, $17.00 per person. 18 holes, $23.00 per person. 9 holes, $20.00 per person. 18 holes, $25.00 per person. Men's half set golf club hire. Shafts in the Driver and Hybrid are Graphite. Iron Shafts are steel. All shafts are Regular Flex. Men’s full set golf club hire. Driver, Fairway Wood, Hybrid, 4-9 Irons, Pitching Wedge, Sand Wedge & Odyssey Putter. Shafts in the Driver, Fairway Wood and Hybrid are Graphite. Iron Shafts are steel. All shafts are Regular Flex. Men's VIP set golf club hire. Driver, Fairway Wood, Hybrid, 5-9 Irons, Pitching Wedge, Sand Wedge & Odyssey Putter. Shafts in the Driver, Fairway Wood and Hybrid are Graphite, Iron Shafts are steel. All shafts are Regular Flex. Ladies half set golf club hire. Driver, Fairway Wood, Hybrid, 7 Iron, 9 Iron, Pitching Wedge, Sand Wedge & Putter. All Shafts are Graphite Ladies Flex. Ladies full set golf club hire. Driver, 3 Wood, 5 Wood, 7 Wood, 5 Hybrid, 6 Hybrid, 7-9 Irons, Pitching Wedge, Sand Wedge & Putter. All shafts are Graphite Ladies Flex. Every golfer is invited to enjoy a 30-minute evaluation. Whether you’ve played golf before or you never have, there are insights for all skill ranges. You’ll spend 30 minutes to work out a success plan for your future golf abilities. The evaluations are mostly conducted on the Golf Links and Golf Simulator. This really is a ‘must do’ for anyone looking to improve their game (or just beat their mates). You’ll receive support – very few people improve their game alone (golf stars all have coaches). Newly revamped the condition of the course and its amenities does not disappoint. A great golf and lifestyle venue.